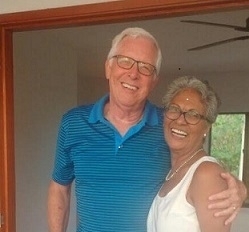 Bill and Myriam share their time between Land O Lakes, Florida, Cartagena, Colombia and Raleigh, North Carollina. We are retired, Myriam from elementary teaching and Bill from not-for-profit leadership. Over the past 20-years we have developed our fenced-in property outside Cartagena which now features two separate residences (1,200 sq ft each), swimming pool, gazebo, private secure parking. 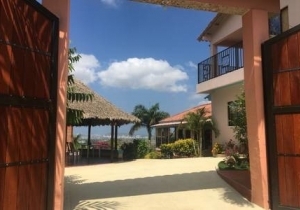 What makes our homes here spectacular are the high terraces, views of Cartagena and the Caribbean, tropical fruit trees that provide daily fare, the many bird species that visit daily and the bright flowering gardens all year round. We have developed experience in the area and Cartagena which we enjoy sharing with guests along with local folklore.